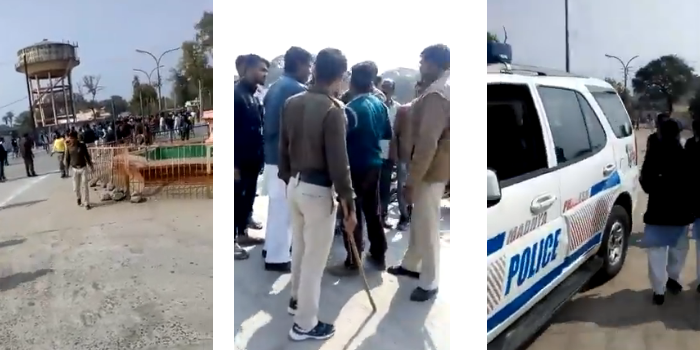 न्यूज ऐजेंसी ANI के अनुसार घटना की पुष्टि करते हुए एसपी राजगढ़ ने कहा कि A clash broke out b/w 2 groups during Republic Day celebrations in Rajgarh district's Khujner. Rajgarh SP says "We have deployed heavy forces there, the situation has been brought under control. Sec 144 (prohibits assembly of more than 4 people in an area) has been imposed."